It’s November in Minnesota, so the growing season -- for most of us -- is over. All of the garden crops have been gathered, and we're now focused on finding local protein. In our small town, hunting season is a time of celebration and camouflage is back in fashion, especially when it's accessorized with blaze orange vests and hats. 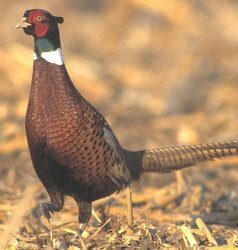 Conversations in diners, grocery stores, barber shops, and street corners turn to the number of pheasants in the fields, grouse in the forests, and -- importantly -- where the big bucks are lurking. 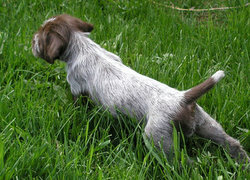 I don my camo-and-blaze orange wear too, and I enjoy being out in the fresh air, hiking through the fields with shotgun in hand, watching our German Wirehaired Pointer joyfully romp around in search of birds. The excitement begins when she freezes in place, nose pointing directly to the spot where the pheasant is hiding. She waits with anticipation, still as a statue, until I catch up to flush the bird (getting it out of its hiding place), take aim, and fire. That’s my dog's cue to hustle ahead and retrieve the bird. Dinner is served. As I enjoy this time of year, I reflect back on the wonderful memories and times I had with my dear friend and mentor Barb Jenson (pictured above). Even though Barb passed away in 2002, her wisdom and encouragement, and the lessons I learned from her, will always be with me. Barb helped me to be stronger, braver, and more comfortable outdoors -- and especially in the kitchen. In the kitchen, Barb was more than just a great cook. She was a culinary mastermind. Her knowledge of ingredients, flavor combinations, and how to prepare unusual kinds of wild game was mind-blowing. While she had a treasure-trove of recipes, Barb could improve any one of them by adding her own flavor and style. Hunting with Barb was a joy -- she even showed me how to pluck, clean, and prepare a feast with the day’s harvest. 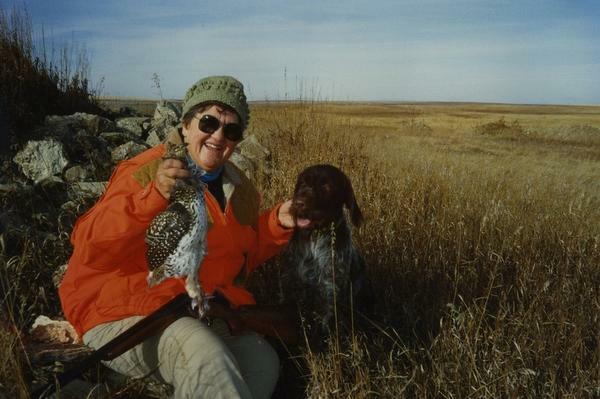 So in honor of my friend (and the fact that the ring-necked pheasant season in Minnesota is now open), I am sharing one of my all-time favorite Barb Jensen pheasant recipes. As was typical with Barb, this recipe was passed on to me verbally, and I did my best to keep my notes and the measurements straight. It's not perfect, but it's close enough -- I'm no great cook, but even I have successfully made this dish numerous times. Enjoy. In large skillet, melt butter over medium heat. Dredge pheasant pieces in flour and place in skillet. Brown pheasant on both sides. Add water, white wine, celery, onion, carrots, and parsley, reduce heat and simmer uncovered until tender, about 15 to 20 minutes. Just before serving, stir in the sour cream. Serve over riced potatoes (or mashed potatoes if you prefer). Debbie Morrison is a frequent contributor to Simple, Good and Tasty. 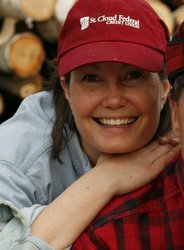 She and her husband Jim own and operate Sapsucker Farms, where their certified organic crops include maple syrup, honey, apples, plums and vegetables. Debbie's last post for Simple, Good and Tasty was Honey Harvesting 101: Smoke, Stink, Blow, Brush.